Taleb Salima, Kaibi Mounira, Deghboudj Nadjia. Assessment of Nutritional Status of Pregnant Women Attending the City Tebessa PMI (Algeria). Natl J Physiol Pharm Pharmacol. 2011; 1(2): 97-105. Taleb Salima, Kaibi Mounira, Deghboudj Nadjia. Assessment of Nutritional Status of Pregnant Women Attending the City Tebessa PMI (Algeria). 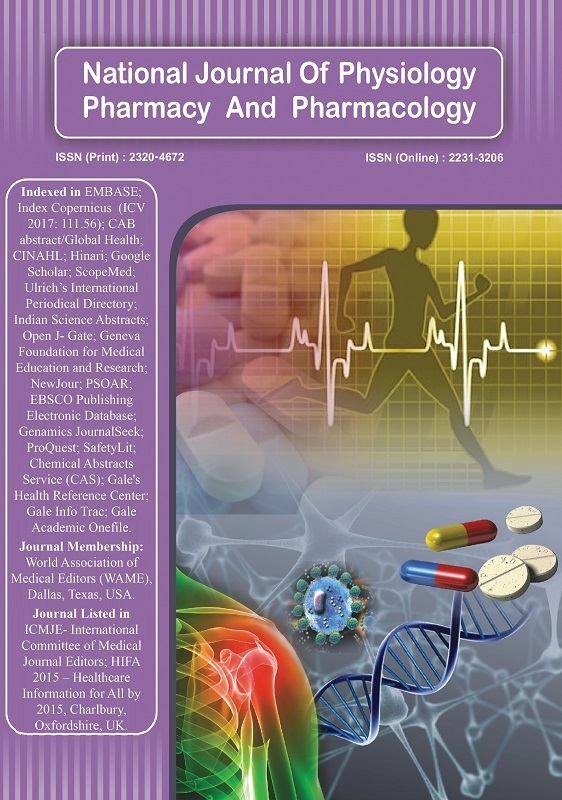 http://www.njppp.com/?mno=7710 [Access: April 26, 2019]. Taleb Salima, Kaibi Mounira, Deghboudj Nadjia. Assessment of Nutritional Status of Pregnant Women Attending the City Tebessa PMI (Algeria). Natl J Physiol Pharm Pharmacol. (2011), [cited April 26, 2019]; 1(2): 97-105. Taleb Salima, Kaibi Mounira, Deghboudj Nadjia (2011) Assessment of Nutritional Status of Pregnant Women Attending the City Tebessa PMI (Algeria). Natl J Physiol Pharm Pharmacol, 1 (2), 97-105. Taleb Salima, Kaibi Mounira, Deghboudj Nadjia. 2011. Assessment of Nutritional Status of Pregnant Women Attending the City Tebessa PMI (Algeria). National Journal of Physiology, Pharmacy and Pharmacology, 1 (2), 97-105. Taleb Salima, Kaibi Mounira, Deghboudj Nadjia. "Assessment of Nutritional Status of Pregnant Women Attending the City Tebessa PMI (Algeria)." National Journal of Physiology, Pharmacy and Pharmacology 1 (2011), 97-105. Taleb Salima, Kaibi Mounira, Deghboudj Nadjia. "Assessment of Nutritional Status of Pregnant Women Attending the City Tebessa PMI (Algeria)." National Journal of Physiology, Pharmacy and Pharmacology 1.2 (2011), 97-105. Print. Taleb Salima, Kaibi Mounira, Deghboudj Nadjia (2011) Assessment of Nutritional Status of Pregnant Women Attending the City Tebessa PMI (Algeria). National Journal of Physiology, Pharmacy and Pharmacology, 1 (2), 97-105.